Today, I want to share a guide about how to accomplish Garuda in FFXIV. This is a Garuda Hard Mode guide that is divided to 2 phases. If you want to buy cheap FFXIV Gil, FFXIVGilBuy provides a huge stock of FFXIV Gil with lowest price and instant delivery! Garuda starts on the opposite side of map with 4 pillars between her and the party. Your team should divide into 2 different sides, the healer and DPS on left and the tank on right. As the tank need go all the way to Garuda that there is a rock positioned behind. 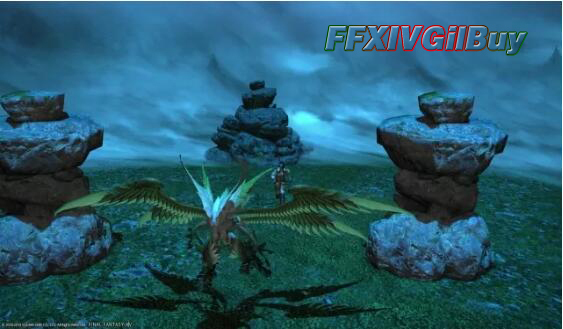 During battle, Garuda will attack one of the other members. It i imperative that you eat this attack in the normal story mode version. After that attack, you will need the DPS to position themselves on the left side of the rock so that Garuda is parallel with the pillars. Nearly during 3/4 of the fight, it is a simple tank and spank battle. At 4/5, Garuda will warp right in front of the rock and use Mistral Shriek. Since it is straight shot attack covering the entire map, you need use the pillar to avoid this attack. 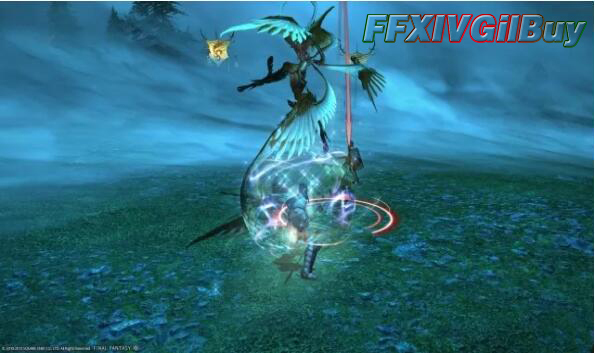 After this, Garuda will move back to the tank you should switch your position and go on fighting. Nearly 30 seconds after Shriek, Garuda summons Razor Plumes to attack the pillar. You need pillars to kill these. Reset the fight if the pillar go down. After kill the plume, go back on Garuda and she will do her second Shriek at around 60% to the side opposite the rock. After Shriek, you can fight her on that side rather than pull her back over to the rock. Also, she will summon Razor Plumes, make sure to kill them. At around 40-50% Garuda will port to the middle and summon a third set of Razor Plumes. After all these get killed, prepare for large changes to the fight. You need do a bit of damage to force Garuda into phase 2 after the Razor Plumes are dead. During phase 2, the fight is much more intense. At first, Garuda ports to the center of the are and use Aerial Blast. You need use the largest pillar to avoid this attack. No matter what, you will take damage. After this, move the pillars, it end. The healer needs to cap everyone off as soon as possible. 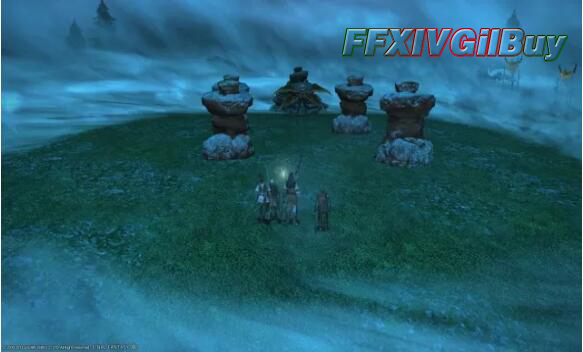 Garuda will create a circle in the arena and you want to remain inside of this circle at all times. Once you can start damaging Garuda, make a DPS use their limit break on Garuda to push her down as fast as you can. Garuda is preparing a straight shot AoE which will shot you when her stops moving, therefor you should stand behind her. It is suggested avoiding Shriek and standing on the far side inside the circle from where she used the skill. Garuda will still randomly summon Plumes in this phase that will now attack players in Hard Mode. Phase 2 is a DPS race really, you're likely to lose at least one member in this phase due to slow reaction or mis-management. Bring some Mega Potions if you have them.